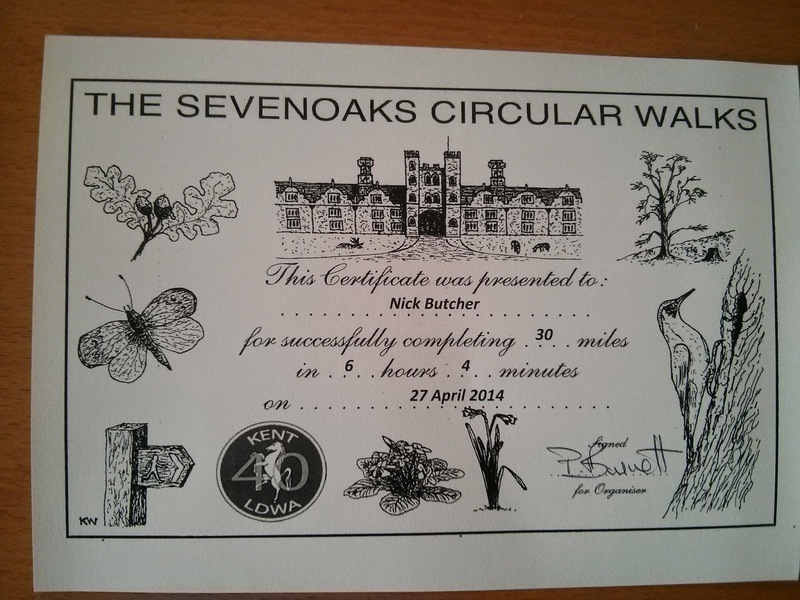 I celebrated my 60th marathon with a cracker of a 30 miler on the North Downs and the Greensand Way. 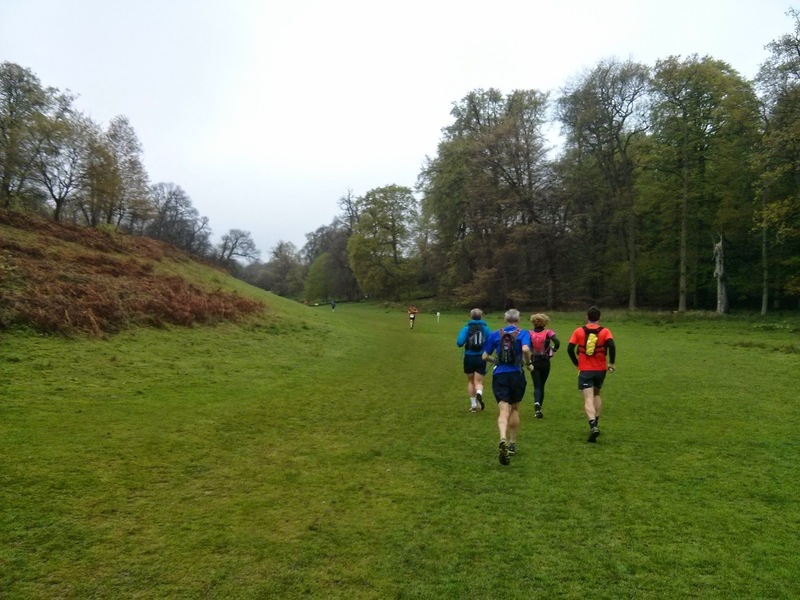 Starting from the rugby club in Sevenoaks, we set off climbing along the beautiful green valley of Knole Park, spotting deer in the first mile, and then triathlon runners coming the other way! The first 4km continued uphill along a quiet road then an enclosed footpath to the A21. 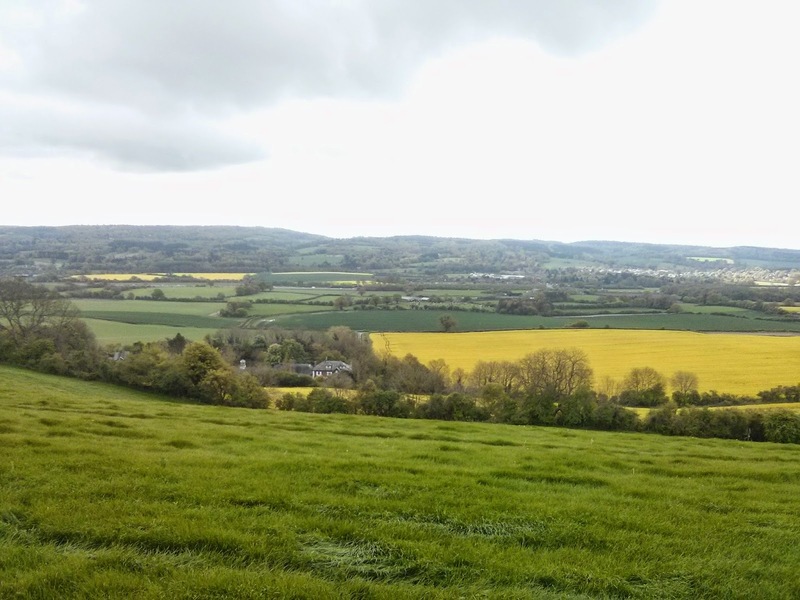 We were now out of Sevenoaks and running on wooded footpaths, fields and through farms, losing all the height just gained, only to begin a 100 metre climb up Bayley's Hill. I had settled into about 6-8th place by this time, but a couple of guys tooks a wrong turn and were gone before I could shout to them, leaving three of us chasing the leader. I was enjoying the run here, chatting as we dropped 130 metres on a hard path through the woods. At checkpoint 1, I just had my number recorded and edged away on my own in second place. I could still see the leader up ahead on straight sections but was obviously never going to catch him. Crossing the A25, then uphill and over the M25, I was still feeling strong as I reached Chevening church, where the route switched back onto footpaths, here quite muddy. Another climb followed, into checkpoint 2 at about 19km. I lost a couple of minutes as they were hidden behind a door. Another kilometre and I was on the North Downs Way, heading west, for an enjoyable section along the North Downs Way. Great views to the South and the M25 was mostly hidden. Still heading West, and away from Sevenoaks, after 28km, the route turned South and dropped off a cliff, with a lovely fast downhill. Switching between ascents, downhills and flat sections is a great way to rest the leg muscles as each terrain uses something different. 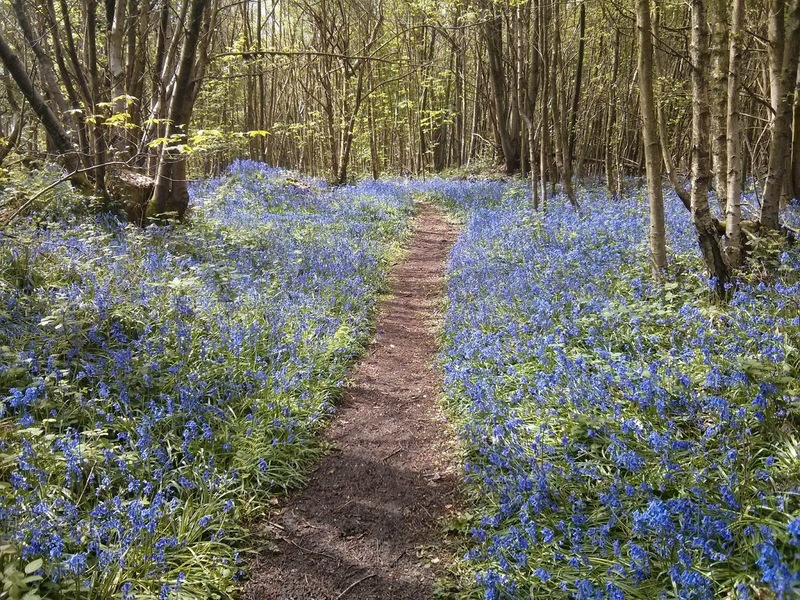 The route was lined with bluebells throughout and I found time to take plenty of photos. I may not have bothered if I'd known I would miss my target time by so little! My legs were a little wobbly after the long and quick downhill, and this was probably the lowest point of the run for me, around 32km, crossing the M25 and then the A25, running on my own. A gloomy weather forecast never quite materialised, there were a couple of showers but not the forecast heavy rain. The cloud did block the sun for much of the run, but helped to keep the temperature down. Another runner passed me and said hello, fortunately just out for a training run. Limpsfield Chart saw checkpoint 3, where I grabbed some flapjack and, as I left, the next two runners were coming in. I made a small mistake with my navigation turning off the road, maybe losing a minute. Then the next section along the Greensand Way was confusing and I must have lost another couple of minutes stopping to reread the directions (there were five pages of them!) The map (but not the route) on my phone gave me a lot of confidence though as I knew I was heading in roughly the right direction. I was caught and we ran the next few kilometres together, but Toy's Hill was a struggle and he left me in third place. After 20 miles of running I could still run well, but not uphill! Over the summit and I felt good again losing all that height immediately, before the last climb of any size, up Ide Hill. Now there were a nice couple of kilometres through the woods, with more bluebells, before crossing the outbound route at the 46km mark. Downhill towards Sevenoaks now! First on road, then back the way we had set out on a footpath and then a quiet road. Despite pushing myself for that long downhill and a final short section through the town centre, I just couldn't hit the 6 hour mark, finishing in 6:01:37, but happy with a great run, feeling good all the way. I wolfed down a plate of beans on toast and a mug of tea and had just had a shower as C arrived to pick me up! Here is the route on Strava. I highly recommend this event. The directions were easy to follow, great support at the four checkpoints, food at the finish and all for £10 (even cheaper if you enter in advance).